Reception refurbishment at our Melton Mowbray Showroom. Here at Storage and Interior Concepts (Melton Mowbray, Leicestershire). 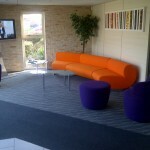 We have just completed the Refurbishment of our reception area. The new area has been given a fresh and modern look. 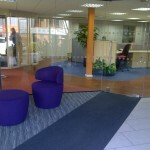 With it incorporating new glass partitioning, to let more natural light in through the reception into the offices. 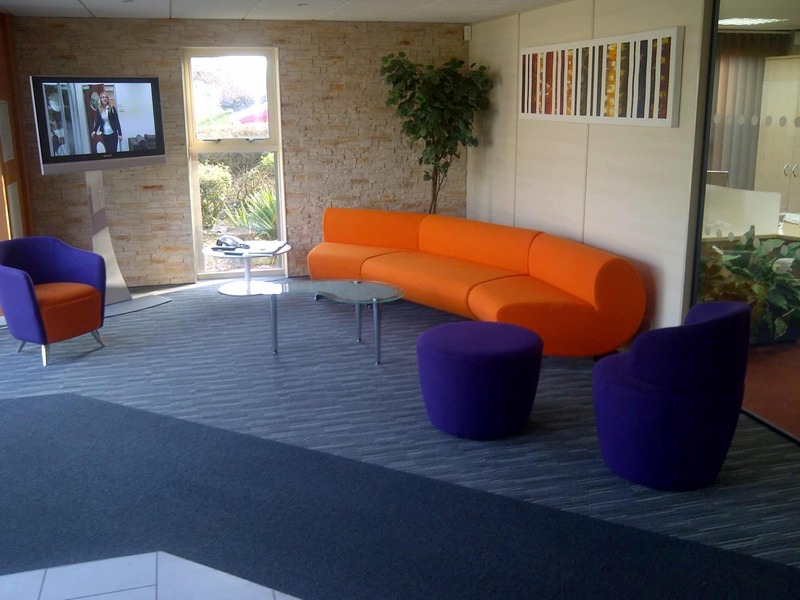 We have also added modern reception seating using vibrant colours, it contrasts against our carpet tiles and vinyl floor tiles. what do you think? It is certainly a talking point when our visitors arrive. This design project also includes a unique stone wall partition which complements the rest of the colours . 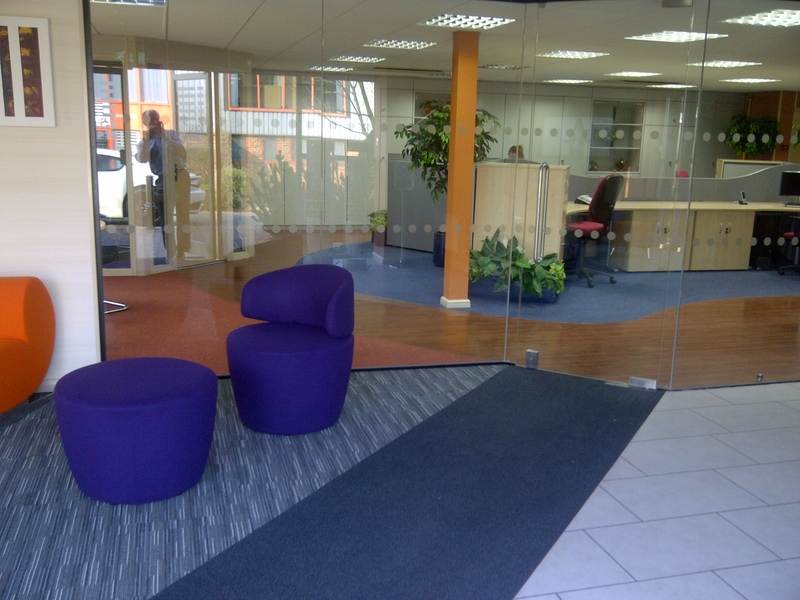 The seamless glass demountable partition and door gives an open clear view into the modern interior offices . We welcome customers to visit Storage Concepts to view the new area. Whilst here, why not take a look the rest of our interior office showroom which is the only one of its kind in the country, we have ample car parking facilities, meeting rooms and free of charge CAD design facilities. If you would like to take a look at our working showroom, please call 01664 410414 or use the contact form here. Storage Concepts – Making Space Work Harder for You.